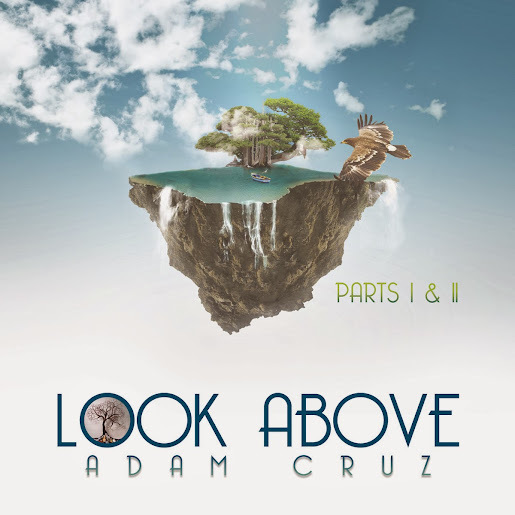 Mixtape Sessions is proud to present "Look Above (Parts I and II)" from the sophomore album of producer and songwriter, Adam Cruz, entitled, "Emospiritual Travelin." "Look Above" is divided into two parts as a way of expressing the uplifting nature of any spiritual discovery. To Adam, this song is about seeing the full potential of yourself by remaining aligned with your spiritual purpose. For many of us, we look to the sky as a gesture towards a Higher Power. Part I is a slow, but hypnotic rhythm, influenced by African and Latin sounds. Adam pours his beautiful vocals on top and captures the essence of spiritual discovery while repeating the 'I look above' refrain. In Part II, we are met with a faster paced poly-rhythmic piece that symbolizes spiritual ascension. Here, Adam repeats the refrain, 'I can see the stars,' in an incredibly exciting manner. The result is a tour-de-force for the global dance floor - two true gems! Special thanks to: Ace Mungin, Dawn Tallman, Duce Martinez, Eddie Nicholas, Flora Cruz, Glenn Thornton, Josh Milan, Mark Mendoza, Robbi and especially YOU! All vocals and instruments performed by Adam Cruz. Recorded, mixed and mastered at EbbnFlow Studios, Bloomfield, NJ. Published by Adam Cruz (SESAC), Adam Cruz Music (SESAC) and Mixtape Sessions Music (ASCAP).